Location! Location! In the heart of the Southport Corridor! 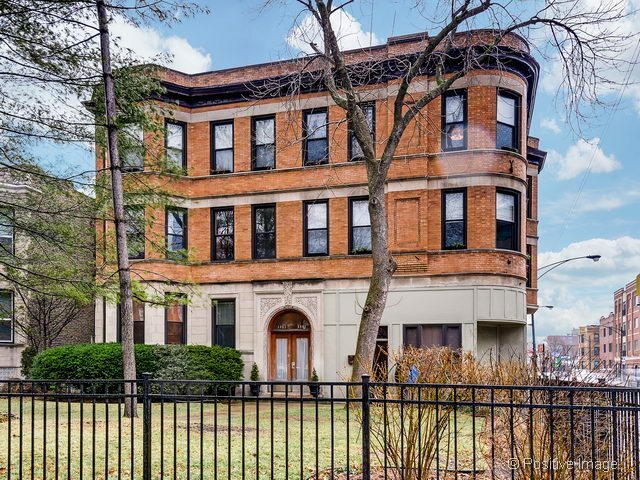 The Greenview Park Condominium building was built in 1896, and is centrally located at the corner of Greenview and Irving Park Roads in Lakeview, walking distance to parks, playgrounds, and a diverse host of amenities along the Southport Corridor. A winding path leads you to the front door and as you enter the front lobby you’ll notice the original marble steps and walls along with the carved oak staircase. 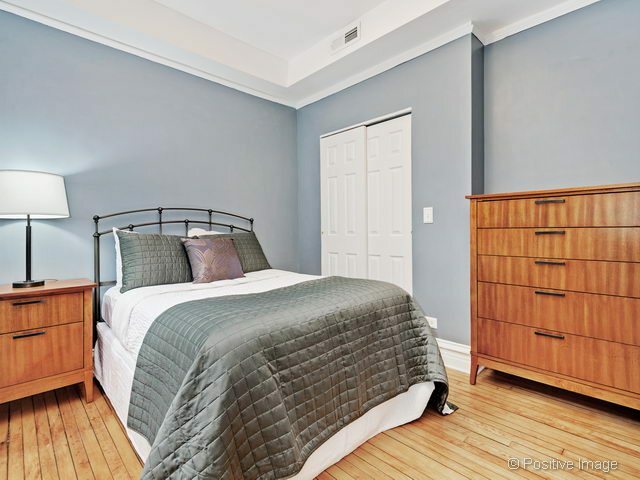 Run to see this outstanding, extra wide 1800 square feet unit. 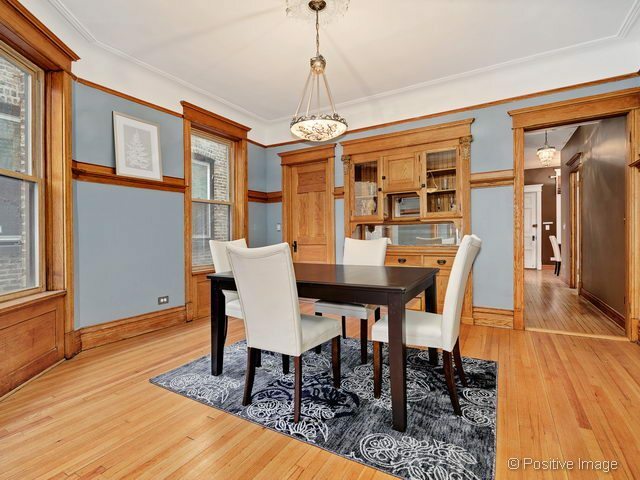 Charm and enchantment adorn all of the rooms which have large windows with original oak woodwork, original hardwood flooring, and picture rails. Oak sliding doors lead to the formal dining room where 2 original built-in cabinets are for showcasing your china and crystal. The kitchen has been updated with cherry cabinets, stainless appliances, granite counters and a breakfast room with an eating area. 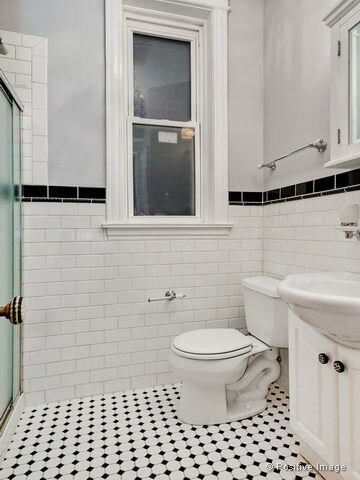 Both the master bathroom and 2nd full bathroom have been tastefully updated with neutral white subway tiles. 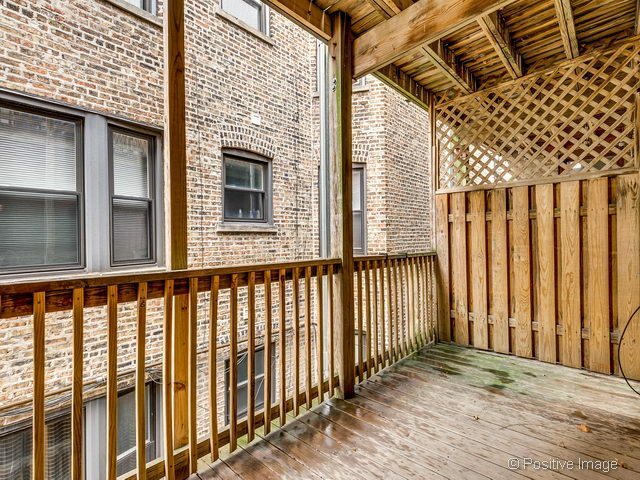 Nice size back deck that you can grill on or simply enjoy a summer’s evening. 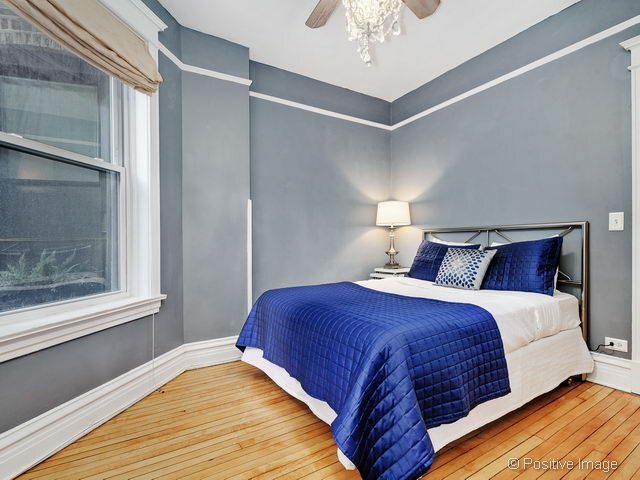 Awesomely located in sought after Blaine School Dist & 2 Blocks to Brown & Red Lines, this unit also includes in-unit washer and dryer and 2 XL storage spaces. Easy permit parking on the street as well as rental parking available on Southport & Irving Park Road for $125 per month. 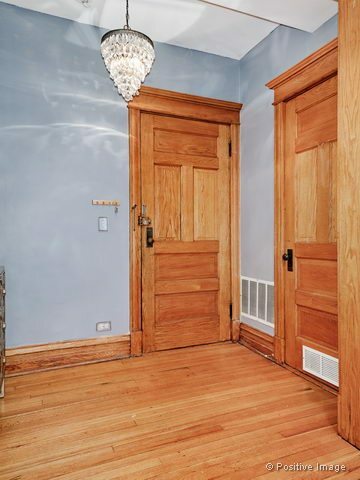 Notice the original 5 panel oak doors and original door knobs. 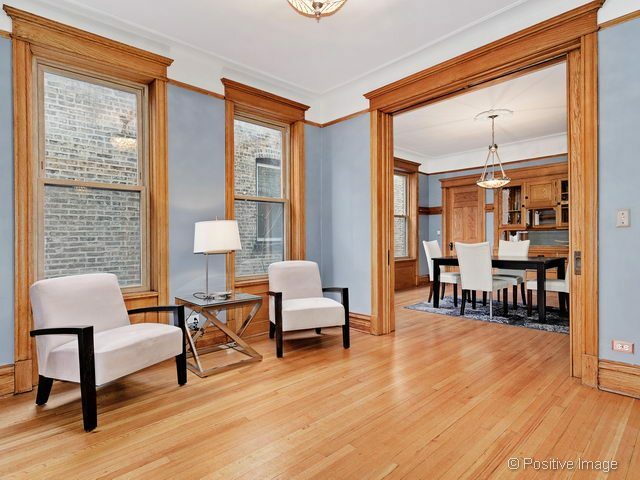 As you enter the unit, you are immediately greeted with the charm and style of the sitting room that boasts hardwood floors, high ceilings and large windows with original woodwork. 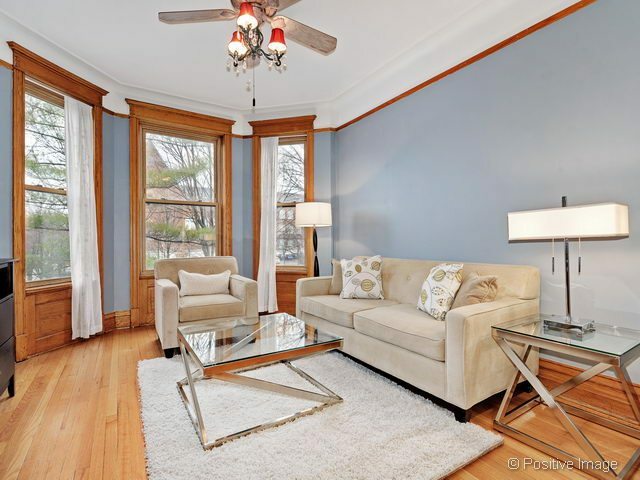 High ceilings, hardwood floors and large windows that have been framed with original woodwork grace this living room. 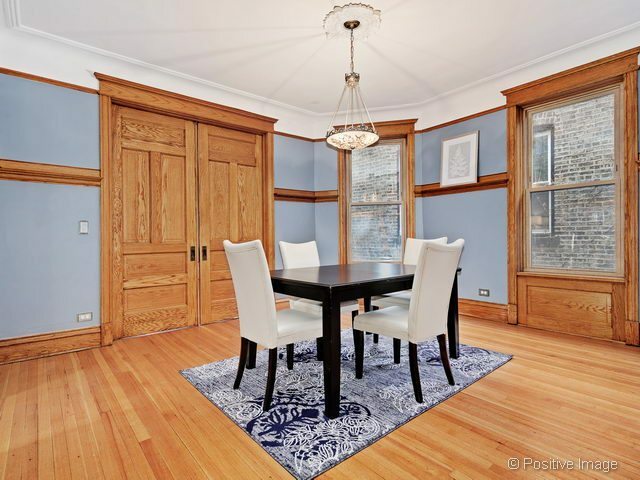 Enjoy all of your gatherings in the large dining room that features Oak sliding pocket doors, the original hardwood floors and woodwork, along with 2 original built-in cabinets with glass doors to highlight your china and crystal. 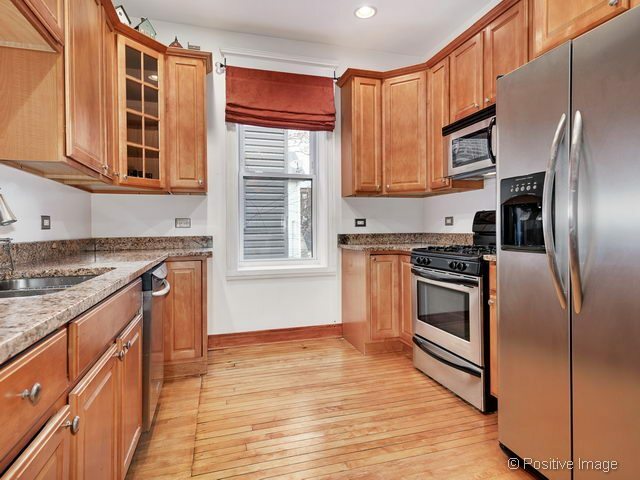 Bright kitchen has been updated with 42” cherry cabinetry, granite counters and stainless appliances and a large window that allows tons of sunlight to stream in. 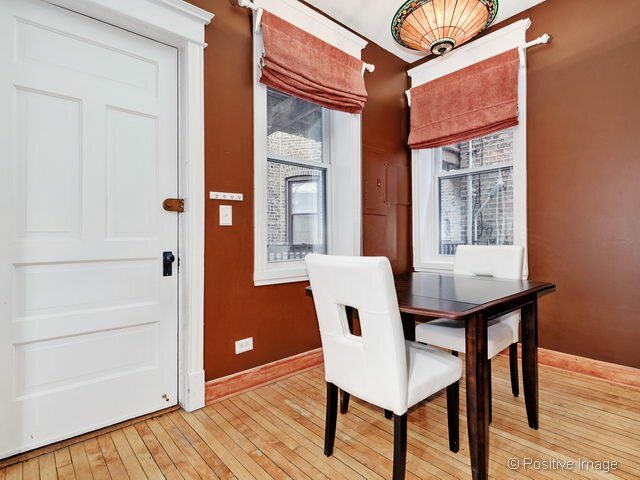 You’ll be able to dine in this cozy area for any of your meals. Two large windows help stream in tons of sunlight. 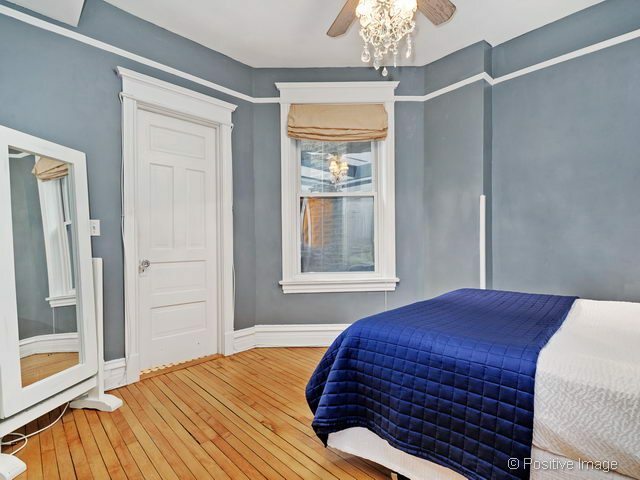 Lovely master features high ceilings, an extra large window, hardwood floors and a chandelier to give the room a romantic feel. 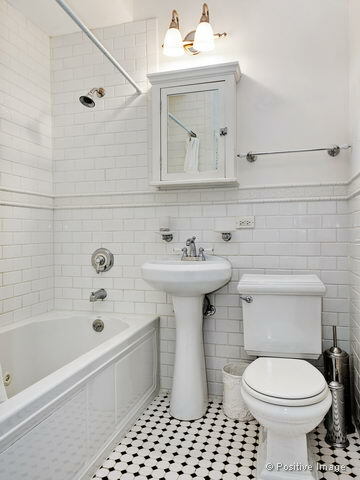 Completely updated master bathroom with neutral white tiles, a jetted tub, a pedestal sink, black and white mosaic floor tiles and a built in linen closet. 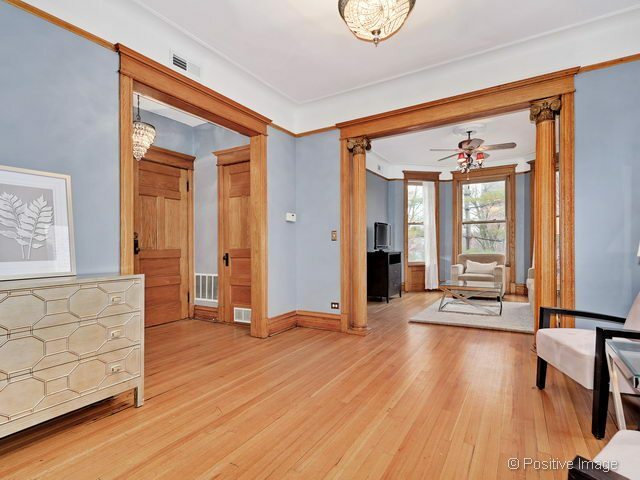 Nice size room with high ceilings and hardwood floors. 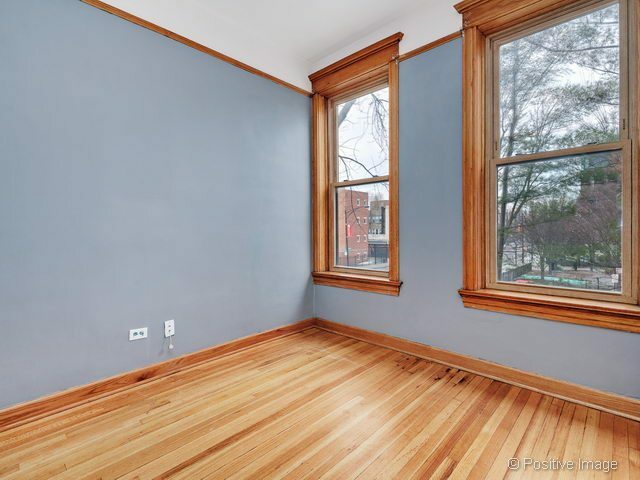 Featuring hardwood floors, original woodwork, and a large window that faces west for lots of sunlight, this room can be used as a bedroom or an office. Nicely updated bath with a walk in shower. All finished in neutral white and black subway tile. 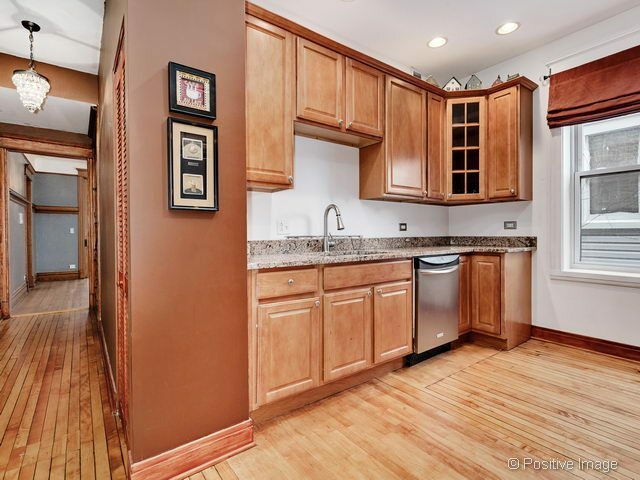 Conveniently located in the hall that separates the kitchen from the dining room. Enjoy grilling or relaxing on this good size deck on a summer’s evening, conveniently located right off of the breakfast/kitchen area.